It is important for one to know all the specificities of the Cojacks, in order to establish if it is a suitable dog to have. This cross breed is considered to be a low maintenance one, as grooming is only required from time to time for upkeep. The shedding amount is negligible for this dog, which makes them ideal for people not wanting to have dog hair all over the house. Training this dog is not a pain; it may not be the easiest to train, but it is most certainly not the hardest, too. Watchdog abilities are at a low level for Cojacks, but is a very active dog. Regular exercises are required and walks are most appreciated. Cojacks are also good partners for playing with children, also manifesting affectionately towards them. The Jack Russell Terriers are known as working dogs mainly. They were initially used for fox and badger hunting. They are not only sporting natured dogs, but also a beautiful presence for their owners. Their diversity as a breed grants them uniqueness. Jack Russell Terriers are strong working dogs, endowed with livelihood and confidence, having an overall enthusiastic expression and being a wonderful appearance. The numerous skills of this dog, added to the supple body, bearing a small chest, a strong voice, but enclosing a bold personality, made the Jack Russell Terriers be excellent vermin hunters, very determined to locate their targets, even underground. The diversity of traits made this dog suitable for a wide range of working activities and duties. The creators of this breed are John Jack Russell, who is also the founder of the Kennel Club and Arthur Blake Heinemann. These dogs were not considered a pedigree, but rather a kind, for the past two centuries. Thanks to their coats, the Jack Russell Terriers are weatherproof. The coats can be either rough or smooth and it most often comes in combinations of tan and white colors, also bearing black markings. Brushing and occasional bathing are required for these dogs, which keep their grooming requirements at a lower level. The Jack Russell Terriers are very lively dogs, highly intelligent, trustworthy and enjoy life, which they see as an excellent adventure, also because of their consistent energy resources. Due to this, they will both need and enjoy physical activities in the outdoors, which will also help them to stay fit and healthy. They act with loyalty and devotion to the people in their families for their entire lives. 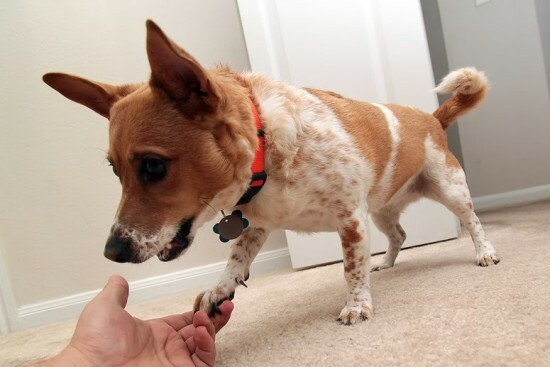 The Jack Russell Terriers manifest a strong, fierce will and they are very independent dogs. They are also very well balanced dogs. Due to these characteristics, many dog consultants back up the idea that only experienced dog handlers should own these dogs. Unfortunately, there are many such dogs in shelters all over the country which have been raised untrained and got to be rather unmanageable. These dogs can adapt well to the life in apartments, but the ideal places for them are the houses with fenced yards, as they enjoy chasing small animals and dig around. However, in some cases fences will not be able to prevent them from getting away, as they are very skilled at jumping over things. The agile and energetic nature of the Jack Russell Terriers recommends that the owners keep them on a leash when taking them for a walk. 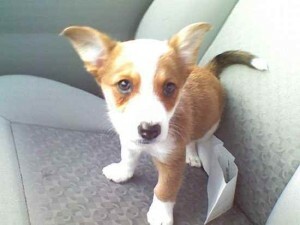 They will be able to quickly run away and their fearlessness and curiosity may get them into trouble with larger dogs. It is important to know that these dogs get along very well with the entire family. Although good with children, the little ones should be advised not to hurt them or tease them in any way if possible. The life expectancy for this breed is around 15 years. From a health point of view, joint issues and cataracts are the most common risks, but on the overall the breed is considered to be a rather healthy one. The Pembroke Welsh Corgi is a herding breed, having a solid build and an impressive appearance. They fit very well among the small house dogs. But this is not all to it, as the Pembroke Welsh Corgi is also a worthy competitor is various activities and sports for dogs, such as herding, obedience and conformation. People have often mistaken them with the Cardigans, but obviously these are two distinct breeds. Bold, friendly, loving with their families and highly responsive during training sessions – this is an overview of the Pembroke Welsh Corgis. Their instinct to herd may sometimes manifest even on their owners, so it is important to keep this in mind. They are best fit to living in farms, but they can accommodate to other life styles and environments as well, as long as they receive the required physical exercises with regularity. The Pembroke Welsh Corgis are playful and always enjoy good, long outside runs; however, they do have moments when they wish just to rest and relax indoors. They are more sociable than the Cardigan Welsh Corgis. The body of a Pembroke Welsh Corgi is short and straight and the legs are light boned. Pointy ears and short tail are also present. The coat comes in two layers, with the inner coat being shorter and denser and weather resistant, while the outer coat is longer. The coat can be either straight or wavy and it only requires occasional grooming. It usually comes in colors such as red, tan, black and sable and can sometimes have white markings. These dogs are easy to train, but they require gentle training methods. 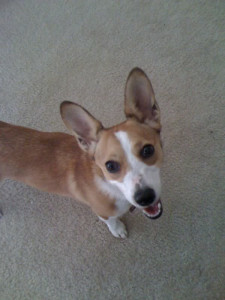 This entry was posted in Jack Russell Terrier Mix, Pembroke Welsh Corgi Mix. Bookmark the permalink. Looking to adopt a Cojack mixed dog .Experienced with the breed we had 2 ,unfortunately they are gone now due to old age had them for 13-15 yrs.Would love to have another one ,wwer very good dogs ,Miss them dearly .